Drink healthier, great-tasting water with this BPA free Brita 18 Cup UltraMax Water Dispenser. The extra large capacity makes this water filtration system perfect for busy families, sports teams and offices, while a new, sleek, space efficient design allows for convenient storage. A flip top lid makes refilling a breeze. Plus, just a glance at the filter indicator lets you know when it is time to change the Brita water filter. 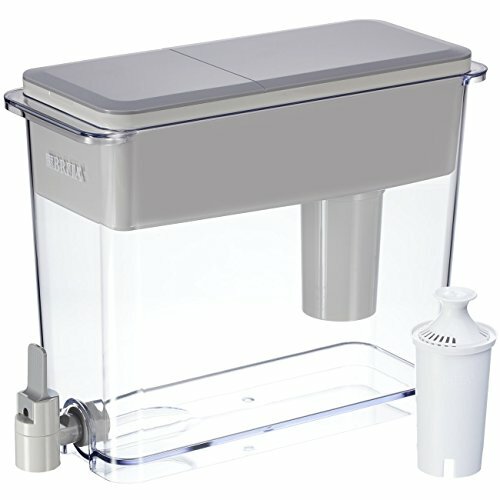 This filtered water dispenser comes with 1 water filter and delivers great tasting water in every pour.